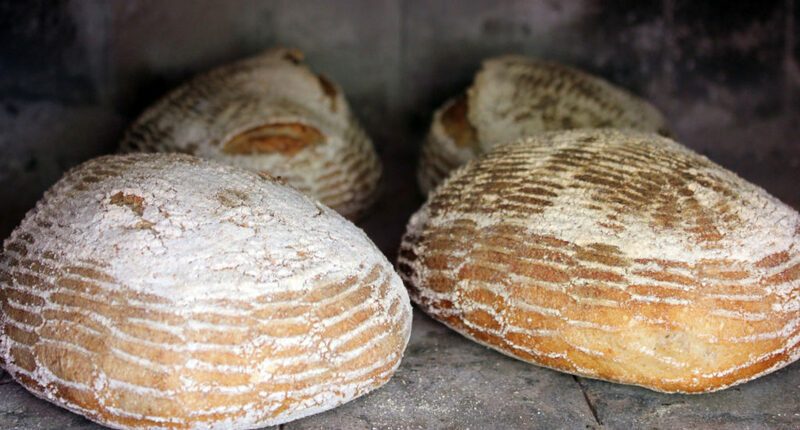 Imagine biting into a perfect slice of hearth-baked bread. The crumb is soft with terrific oven spring, while the crust is slightly crisp, but chewy, with a deep caramel flavor. Or picture a beautiful summer evening, surrounded by friends and loved ones who have gathered around your brand new wood-fired outdoor pizza oven. 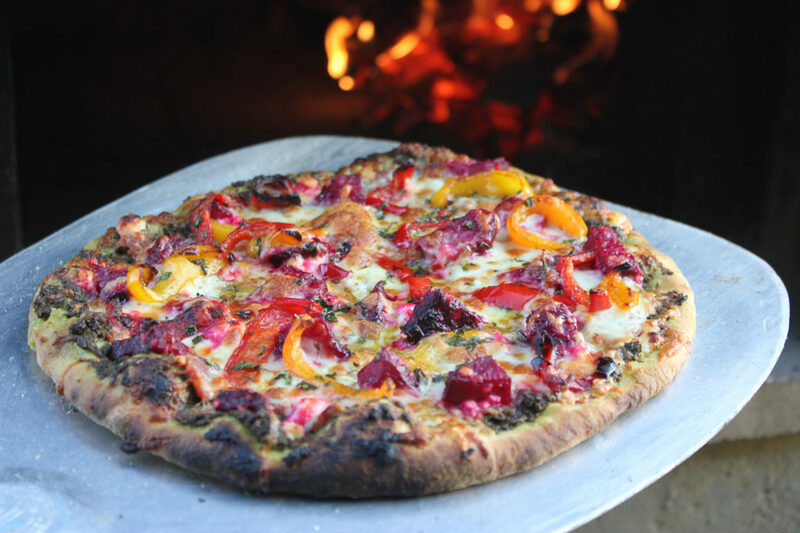 The guests are delighted by the novelty and fun of baking pizza in a live-fire oven, and the pizza is incredible – golden brown bubbling cheese and sizzling toppings on perfect crisp-chewy crusts. 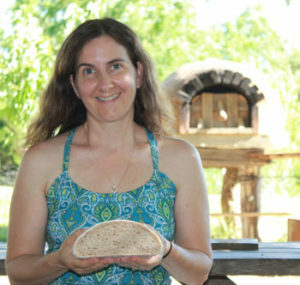 This magic awaits you when you build your own outdoor bread and pizza oven. 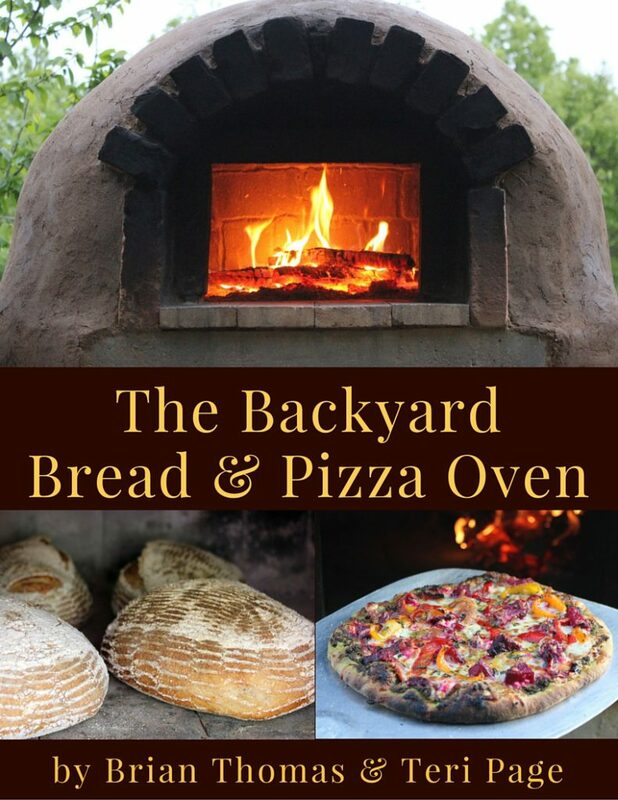 Introducing The Backyard Bread & Pizza Oven, an inspirational how-to eBook that will walk you through the process of creating a timeless and beautiful pizza oven for your backyard. 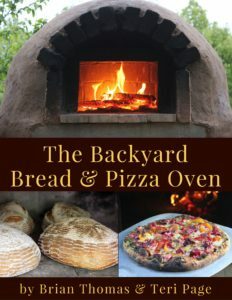 Filled with clear instructions and dozens of high quality color photos and diagrams to illustrate the process, The Backyard Bread & Pizza Oven will help you create the hearth-baked flavor you find in top quality restaurants, at home. Perhaps you’ve dreamed about an outdoor pizza oven for years, but felt like it was too big a project, or too overwhelming and expensive to even think about starting. 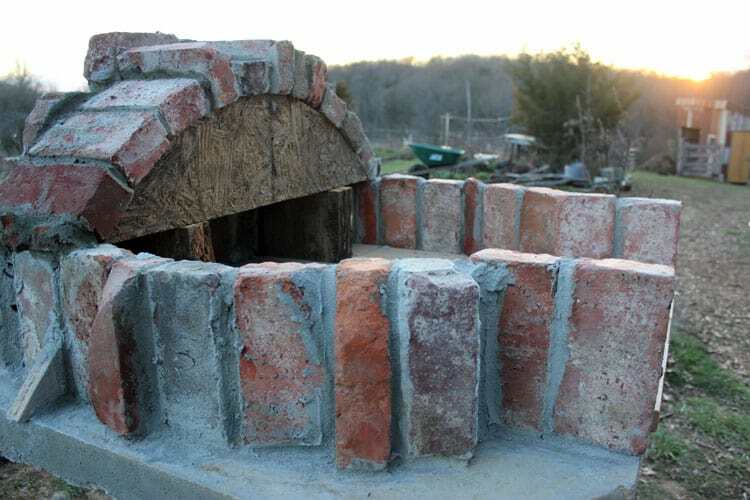 The Backyard Bread & Pizza Oven will walk you through the process of building your own bread and pizza oven, step by step, with detailed instructions and beautiful color photos. How to make best use of the oven’s residual heat to bake stews, pies, casseroles, and so much more! It’s time to build your own oven! Let us show you how. One might think that an off-grid life is one of deprivation. That food would be basic and boring. Teri Page and Brian Thomas prove that it’s anything but. 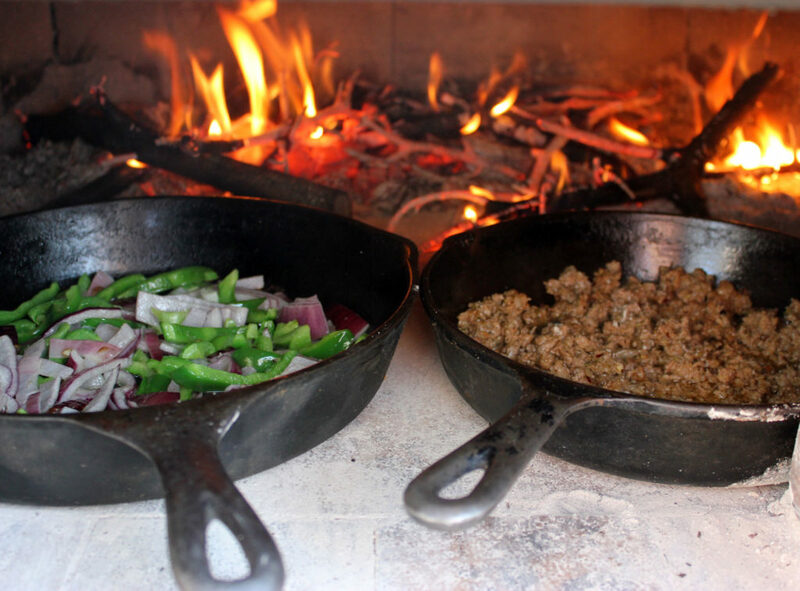 With their homebuilt outdoor oven meals include home-baked bread, wood-fired pizza, roasted chicken and so much more. And they share their years of knowledge and innovative spirit to show you how from start-to-finish inThe Backyard Bread & Pizza Oven. The hubby and I have been wanting to build a full outdoor kitchen (including an outdoor oven) on our homestead for several years. We finally have decided where we want to put it and this book arrived just in time. It’s such a great step-by-step guide in not only building the oven, but how to use it too! We love it and can’t wait to put it to use! Brian Thomas and Teri Page and their family live in NE Missouri, where they built an off the grid homestead from scratch. 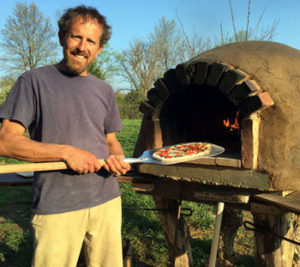 Brian is a builder and artist blacksmith, and ran a “Community Supported Bakery” for 9 years, selling organic, sourdough, artisan breads baked in his hand-built wood-fired oven. Teri is the creator of Homestead-Honey.com, a life coach, and the author of Creating Your Off-Grid Homestead.